For years people have contemplated what would come of the wine market once Robert Parker Jr retires. Mr Parker has been the major driving force in the fine wine market for decades and his scores have been known to make or break a wine. Parker is responsible for establishing the 100 point scoring system for fine vintage, a system that has been adopted by all but the most stubborn of critics. 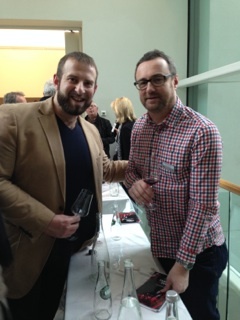 First he withdrew from tasting En Primeur Bordeaux and handed that privilege to a younger and fresher member of his Wine Advocate team named Neal Martin. This came as a shock to many as the Bordeaux En Primeur tastings are seen as one of, if not the most important task in fine wine critique. Neal took the baton and ran with it. His younger fresher style with obscure references to pop culture and contemporary themes made sure he stamped his mark on the role, rather than just trying to be Mr Parker II. Then, in April this year, Parker announced that he would also be stepping down from tasting bottled Bordeaux. This also transfers the important 10 year reviews to Neal Martin which have become a benchmark for measuring a wines actual development against its predicted development and again is a hugely important part of fine wine critique. Neal grew up in Essex and worked as a part time DJ. By his own admission he claims to have drank only cider and Liebfraumilch, or sometimes Mateus Rose on special occasions. He began working for a company in his mid-twenties that exported wines to Japan and this is where his passion started. By 2003 he had started his own online wine blog which soon amassed over 100,000 readers due to his abstract approach to writing. Soon after he was picked up by Parker and taken under his wing. Parker has not retired completely, he has reduced his tasting responsibilities to California and the odd wine from elsewhere that he feels like tasting, good work if you can find it! But what will come of his previous scores? A Parker 100 point score has been seen of THE ultimate seal of approval and would ensure a wine’s future market performance and liquidity. 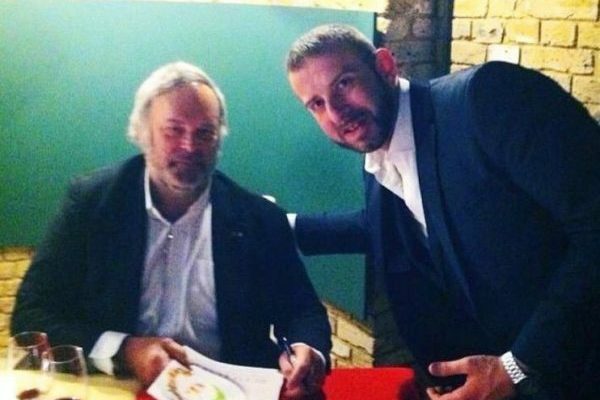 The general consensus among trade and in the market appears to be that his perfect scores will always be seen as the greatest examples of the wines that received them. 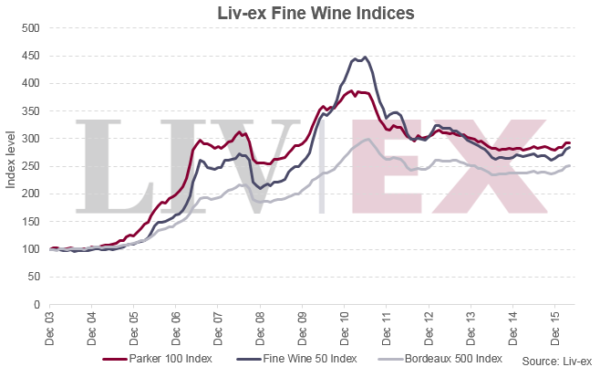 In fact, Liv-Ex have already created a new index named The Parker 100 to track the price performance of every wine with a perfect 100 point score from Parker. In the last few years, post-bull market and adjustment, the trackers for the Fine Wine 50 Index and the Parker 100 Index have beaten a fairly similar path. With Parker’s announcing his retirement and the supply of Parker 100-point wines therefore finite, we feel they will begin to outperform their counterparts considerably.